Volvo Repair in Orlando | C & G Auto Center Inc.
You may not be driving your Volvo because Roger Moore drove one in The Saint, but maybe that is your why. Whether you’re in it for the coolness factor or their high level of safety, the auto mechanics at C & G Auto Center (serving Orlando, Davenport, and Winter Park) take auto repair and service seriously. Not only are they highly trained, but they have the years of experience, tools, and equipment to masterfully service and repair your Volvo. 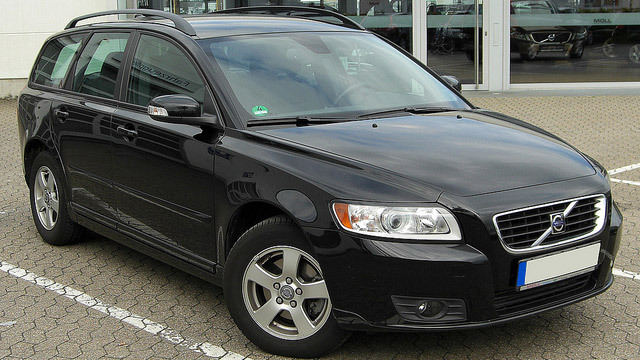 The team at C & G Auto Center care about your Volvo and you. We realize that if you are in a Volvo, you do care about safety and we want you to know that is our number one priority when it comes to auto repair. In close second is building a lifelong relationship based on quality care, reasonable prices, and the highest level of integrity. That’s why we offer a nationwide 24 month/24K-mile warranty. It’s also why we provide a digital inspection, so there is a high level of transparency that is the cornerstone to establishing and maintaining trust. We always want you to know what to expect and not be blindsided by something you didn’t know about. We are here to fully serve you and your Volvo for life. “Carlos & his team of mechanics were most helpful and professional. I've had some painful experiences right after moving here from Alaska, and not knowing a reputable and honest mechanic just added to the anxiety; but, I came to meet C & G and from their receptionist to the mechanic, I have nothing but good things to say about this family! Thanks guys!! !” -- Joseleyde A. When your Volvo is in need of service or repair, you can trust the auto mechanics at C & G Auto Center to provide the best customer service experience possible. Volvo owners from Orlando, Davenport, and beyond count on us to deliver the best in service and repair. You can also trust us to care for each individual customer, always putting your safety first. Integrity matters and so do you. We look forward to seeing you and your Volvo soon! Schedule an appointment today, or stop by. C & G Auto Center is located at 4155 W. Oak Ridge Rd., Orlando FL.